This is from an environmental tapelift in a home exposed to smoke from a wildfire. 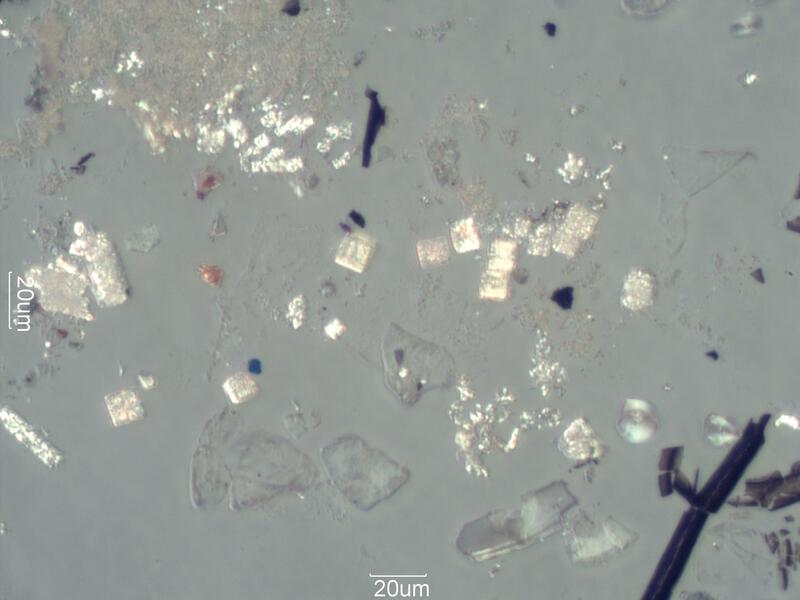 The bright square particles are heat modified calcium oxalate phytoliths. Most of the black particles are charred plant parts. There are also starch grains, skin flakes and other debris from normal house dust. This sample was from a living room window sill. Wildfire particles include charred plant parts, pyrolized phytoliths, charred pollen and spores, burnt clay, and even charred feathers and hair. The charred plant parts can often be identified as to the plant they came from. Charring results in about 20% shrinkage of the structures.